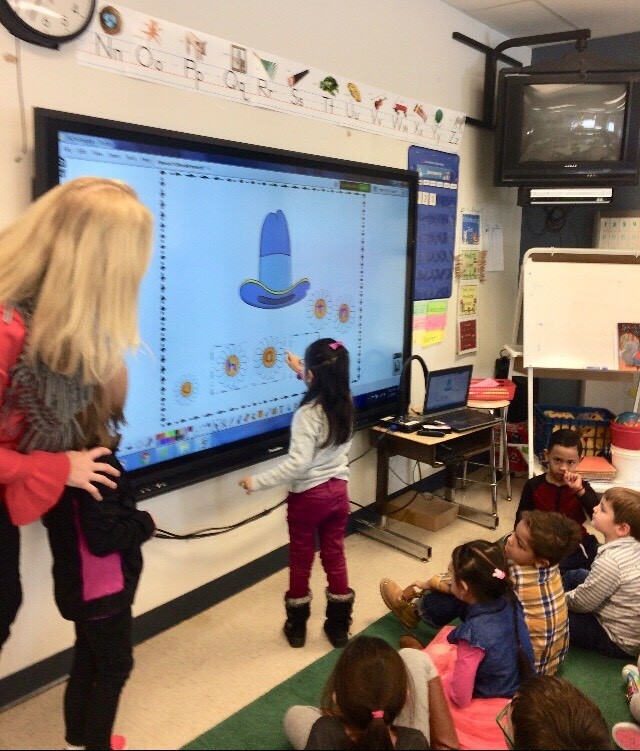 Utilizing Technology in the Classroom at New Windsor School! 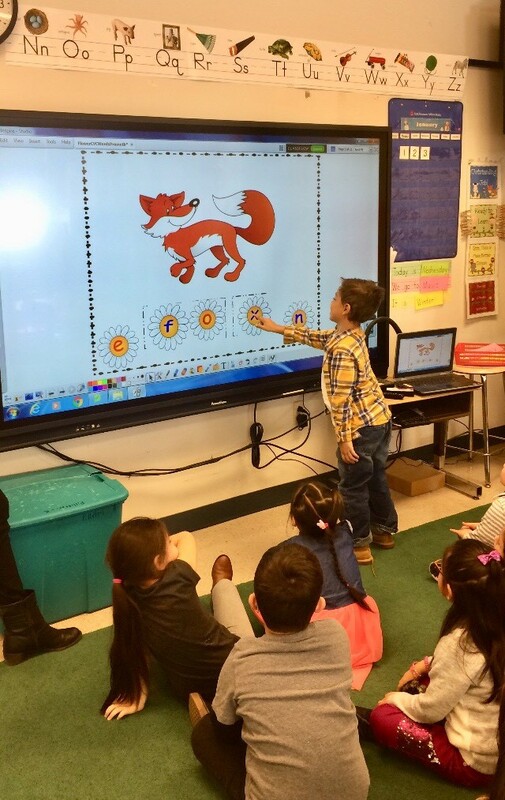 In these pictures the students are enjoying learning how to write cvc words using an interactive promethean board activity. They took turns dragging flowers/letters to the correct box to build the cvc word of the picture shown. It kept them engaged while practicing listening for and blending beginning, middle and ending sounds. 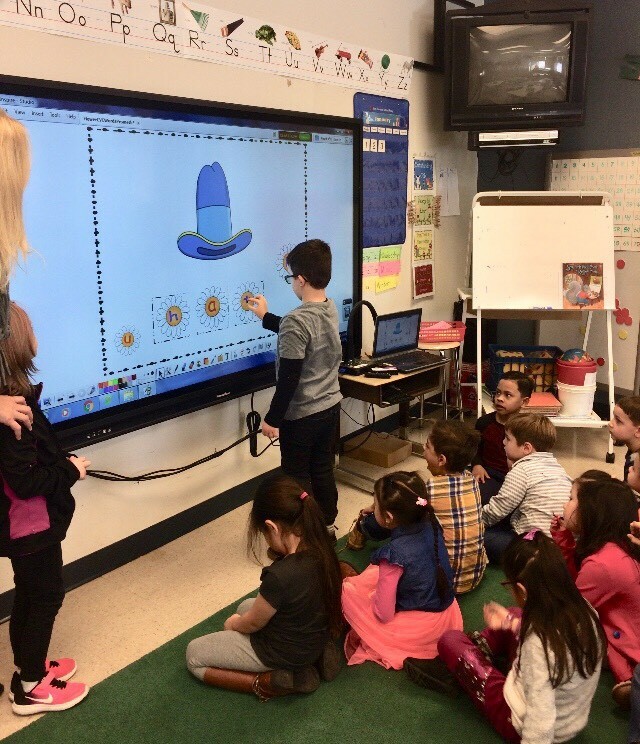 Teacher at New Windsor School, Ms. Pillitteri shared that, "We use the promethean board throughout the day in all areas of the curriculum. I have found it very useful during Reader's and Writer'd Workshop. During "Writer's Workshop" the students write interactively to enhance writing skills. They also look at other student's writing that is projected on the screen and give suggestions for improvement. In addition to this, the board is used to let students know their work areas for each part of "Reader's Workshop". One of my favorite ways to use the board is to enhance the understanding of new vocabulary. 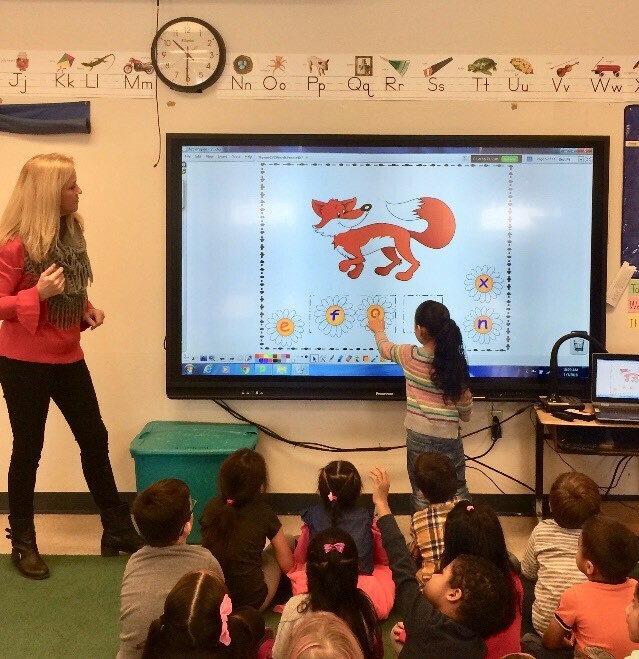 It is great that a vocabulary word can be brought to life by images on the board. For example if a child doesn't know what a shed is I can show them very quickly images of different sheds." Check out some photos of these scholars in action!